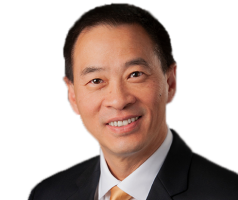 Dr. Willis Chung joins Consulting Radiologists, Ltd. as a Diagnostic Radiologist in our Teleradiology section. After earning his degree in Biology from Harvard University Dr. Chung attended medical school at the University of Pennsylvania Medical School and went on to complete his internship at the Pennsylvania Hospital —Department of Medicine, and his residency in radiology and fellowship in neuroradiology at the Hospital of the University of Pennsylvania. We asked Dr. Chung what he’s passionate about and he said, “It’s easy to be excited doing something that you love, and I love the confluence of medicine, science, and technology in radiology today.” He tells us that it was during a visit to the emergency room as a patient during college that he realized that he liked people helping him and it was then that he experienced his “Aha” moment and decided to become a provider. Dr. Chung lives in Denver, CO with his wife and son and enjoys photography, electronics design and repair, hiking, travel, scuba diving, bicycling, and home repair. Always being open to learning and communicating so that the team I’m working with can maintain and restore our patients’ health.